On Nov 13, former White House Chief of Staff Rahm Emanuel annoucned his run for mayor. 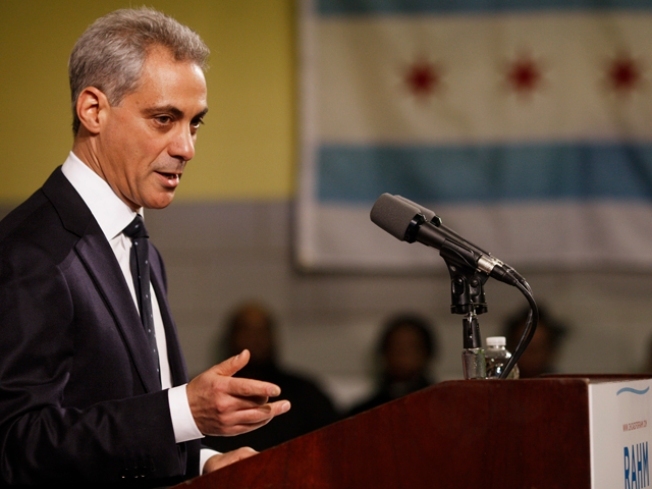 Rahm Emanuel is about to have a terrible, horrible, no-good week. He’s going to be hauled into the Board of Elections, where over two dozen nuts, gadflies and lawyers will insist that he’s not really a Chicagoan. It’s going to be the most-watched drama in Chicago, and it will dominate coverage of his campaign until it’s resolved. Burt Odelson, the attorney leading the challenge to Emanuel’s residency, has vowed to take his case all the way to the Illinois Supreme Court. Emanuel is obviously taking the challenge seriously. As the Sun-Times reported, after Emanuel decided to run for mayor, he amended his 2009 Illinois tax returns to change his status from “part-time” to “full-time” resident. The perceived front-runner rarely agrees to debate, especially this early on. There's little to be gained, and the candidate doesn't want to risk making a mistake or elevating a lesser-known rival. So the top dog takes the lumps from opponents that he's dodging a discussion of the issues and failing to give voters a chance to compare candidates side by side. On Tuesday, a variety of grassroots groups, from the Southwest Youth Collaborative to the Jane Addams Senior Caucus, plan to ask candidates for their positions on living wages, affordable housing, education, violence, and other topics. The event, which we previewed here, is scheduled to start at 5:30 p.m. and will take place at the UIC Forum at 725 W. Roosevelt. On Wednesday, the Raise Your Hand Coalition, Northside Democracy For America, and the Illinois Policy Institute are hosting a forum that focuses on education. Andy Shaw of the Better Government Association will moderate the forum, which will begin at 7:00 p.m. at Walter Payton College Prep High School, 1034 N. Wells. A live webstream of the event will be available. On Thursday, the Chicago Teachers Union will host candidates at the International Union of Operating Engineers Hall, 2260 S. Grove. School funding, vouchers, tax increment financing, and other issues will be brought up. The Cook County College Teachers Union Local 1600, International Union of Operating Engineers Local 143, and Access Living are co-sponsors/. As you can see, two of the forums focus on education. If Emanuel wants to talk about his education plan, these are the places to do it. Not even Andy Shaw, obnoxious noodge that he can be, will ask about his residency. If Emanuel doesn’t show up, he’ll still make news … for not showing up. As if he won't be getting enough bad publicity this week.